sundreamglass offers ten different sizes specifically designed for every need. 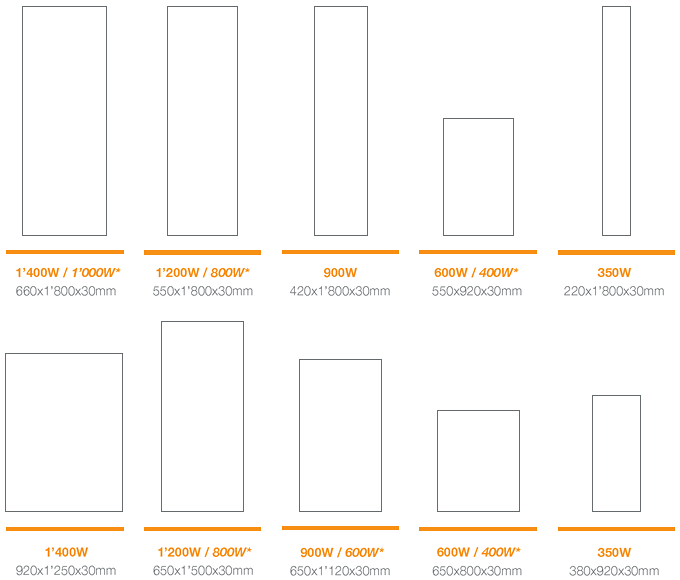 You can match panels of different sizes and different surfaces as you like. All kind of surfaces, from white up to your personalised image are always available in the following sizes (panels with Sahara stone surface are not available in all sizes).